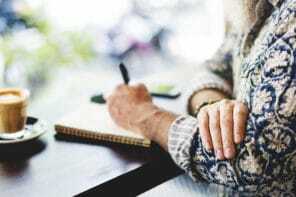 When you’re caring for an older adult it can be difficult to set the boundaries and expectations you need to manage stress and prevent burnout. Lee Elliott shares 6 tips that help you keep expectations at a realistic level and find time to care for your own needs. Providing care for another person has the potential for burnout, stress, fatigue, and losing sight of your own personal life. 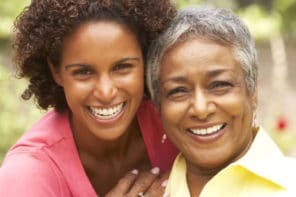 Because of the physical, emotional, and financial demands, it’s important for all caregivers to have realistic expectations and set healthy boundaries to provide a balance between their older adult’s needs and their own. After all, when you feel better, you’ll be able to provide better care to your older adult. Here are 6 ways to set expectations and boundaries that will improve quality of life for both of you. Whether it’s Alzheimer’s, cancer, or another health condition, find out as much as you can about it. Learn about the stages of progression and the symptoms that accompany each stage. The more you know about what to expect, the better you can prepare for what’s to come. Talk to your older adult’s doctor about signs, symptoms, side effects and what you should prepare for as the condition progresses. Reach out to other people who are caring for someone with the same disease. Ask about some of their personal experiences. The person you are caring for may not say “thank you” often enough when you’re helping them. They might have spells of irritability or reclusion. They may be disinterested in some of the activities you propose. Remember that the person’s health condition is causing them to experience a range of emotions on top of any physical pain. That may be affecting their reasoning, mood, and people skills. Get plenty of rest. Lack of sleep can make anyone more irritable and your patience may already be wearing thin. Don’t force anything. If your older adult doesn’t show an initial interest in doing something, drop it for now and revisit it later. Take criticism with a grain of salt. Accept it, ignore it, or evaluate it, but don’t let it eat at you. Saying no might be the hardest thing to do as a caregiver. But sometimes a person receiving care might request to do something that is unsafe or unreasonable for either them or yourself. Things like not wanting to eat, drink, bathe, clean, or throw away clutter are all situations where you may have to put your foot down. Make a list of things that the person you’re caring for has either requested (or may request) that you would prefer to decline. For each one, write down the reason why you would say no and then come up with a way of saying it kindly and in a way that shows that you’re keeping their best interests at heart. Practice giving these reasons aloud. Then you’ll be ready to respond calmly if the situation comes up. One of the worst things a caregiver can do to themselves is expect to be able to take on the job alone. This is a recipe for stress, fatigue, and burnout. Be realistic about the number of hours you can dedicate to care without sacrificing the responsibilities of your job, household, and family duties. Lean on help from nearby relatives or professional care to fill in the remaining gaps. Explain your situation to another family member and express how your caregiving duties are negatively affecting you. Be specific about tasks that you could use help with. Prepare a list of duties along with the days and times that those duties are carried out and ask your family member if there’s anything on that list they’d be willing to take on. It’s important for caregivers to spend some time alone or doing something they love. Whether it’s taking a good book to your favorite park, playing a round of golf, or doing some yoga, it’s critical for your own mental and emotional health to take a step back from your caregiving role and recharge your battery. Schedule “me time” in advance by blocking off certain times of the day or week. If you try to wait for free time as it comes, it may never come at all. Try to schedule your personal time at the same time each day in order to make it just as much a part of your routine as all your caregiving duties. Make your personal time a true indulgence, which means not using it for doing laundry, paying bills, or other chores. Just as it’s important to set expectations around your personal time, it’s equally vital to do the same for your own family and personal relationships. Without setting those clear expectations, caregiving can place tremendous strain on relationships with spouses, children, and close friends. Much like setting aside time for yourself, a schedule of regular social interaction with family and friends can go a long way toward maintaining those relationships. Make date nights with your spouse or set up regular get-togethers with friends. Multi-task. If you take your older adult to a doctor’s appointment, call your spouse for a brief conversation from the waiting room. If you have to run to the store, bring your child along and take them for a treat. Guest contributor: Lee Elliott is a writer and blogger from Raleigh, North Carolina. He enjoys long walks in the woods with his dog and mindfulness meditation. You can find more of his writing here.